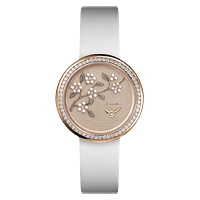 Founded in 1909 by Gabrielle “Coco” Chanel, the House of Chanel has been leading the world of haute couture for over a century. 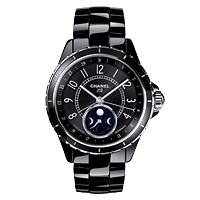 Famous for popularizing the “little black dress”, Chanel has also become a household name thanks to their Chanel No. 5 perfume and their iconic Chanel suit. 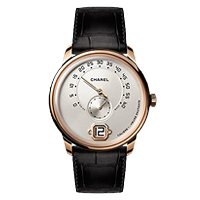 Chanel fashion products have adorned the like of Marilyn Monroe, Nicole Kidman, Kiera Knightley, Naomi Campbell, and Cara Delavingne. 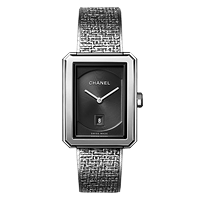 Entering into the world of high fashion time pieces in 1987, Chanel has spent the last two decades producing popular watches including the Mademoiselle de Prive, the Monsieur de Chanel, the Boyfriend, and the J12.